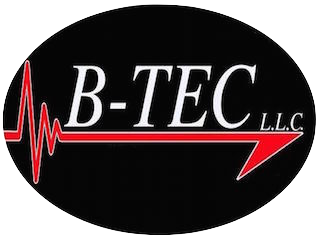 BTEC | Non-Destructive examination certification explained |BTEC Services Inc.
SNT-TC-1A is a GUIDELINE and not a mandatory set of RULES! In the 1960’s, the American Society for NDT issued a guideline called SNT-TC-1A, which outlined a method of “Employer” based certification. At the time this document was written, ASNT did not want to get into the “certification” business or accept the liabilities that might be associated with it. Therefore, SNT-TC-1A is a guideline to be used by employers to develop their own in -house program to cover training, qualification and certification of their employees performing, evaluating or overseeing nondestructive tests. While it is true SNT-TC–1A is revised every few years, there is no requirement that the latest version be adopted by your company. Some industries have standardized on the requirements stipulated in the 1984 issue. I. Develop a Written Practice. The Written Practice states how employees are trained, qualified and certified to perform NDT functions for your company. This is not to be confused with a written procedure that specifies the details of performing a specific NDT examination. Copy and modify the issue of SNT-TC-1A that you choose, onto your company’s stationary. This is now your Written Practice Have your Level III sign it and get your customer’s Level III’s approval. • NDT methods and techniques used. A method is UT, PT, RT, etc. A technique is solvent removable – visible dye penetrant. Basically an operator, capable of performing specific inspections. If stated in your Written Practice, the Level I inspector may make acceptance/ rejection decisions with specific written guidelines. More typically, the Level I works under the direct supervision of a Level II inspector. This inspector has more experience and training, and more responsibility. A Level II inspector must be capable of setting up and calibrating his instruments, performing the inspection and interpreting the results of the inspection against the requirements of the applicable specification or code. The Level II may also be required to supervise Level I inspectors and give on the job training. 1- Write or approve procedures and techniques. 2- Determine what must be done to satisfy specification, code and customer requirements. 3- Accept responsibility for the NDT department. 4- The Level III must also have a good working knowledge of other NDT methods and manufacturing processes. Written Practice as well as the requirements of the specifications, codes and applicable laws. Level III services maybe contracted through outside companies to provide training, inspection or consultation. The Written Practice for your company should be written to meet your needs, and that of your customers. Modify the requirements as needed to make your Written Practice practical for your firm, keeping in mind your customers needs and those that may be stated in other documents that you must comply with. Each inspector must successfully complete a training program that complies with the requirements of SNT-TC-1A* or your Written Practice. Please note that it is perfectly acceptable and possibly preferable to modify your Written Practice to require additional training and certification for special tests such as crack sizing or the use of non-standard or specialized methods. It may also be modified when inspectors will be required to perform limited/specific tests. Visible Dye Penetrant Inspection, Magnetic Particle Testing with hand-held Yokes Ultrasonic Thickness Gauging with Digital Thickness Gauges, Ultrasonic Testing of Rails, etc. To successfully complete a training program the student is required to pass a general, specific and practical exam to ensure that he has the necessary understanding of the method and skills to perform the test. Note that training and certification are separate activities. They are administered at different times and the tests given are for different purposes. Training can be provided by any capable individual that has the knowledge, experience and teaching skills required to impart the necessary information and skills needed. Employees cannot be certified until they have met the minimum experience level detailed in the Written Practice This experience must be documented and kept in the certification records file. The Level III has the responsibility to review or grade examinations administered for certification purposes. The actual administration of written examinations can be subcontracted to a designee of the Level III. 1- Eye test for both near vision and color blindness. 2- A written General examination which tests knowledge of the methods basic principles. 3- A written Specific examination is about the specific equipment, procedures and techniques used on the job. 4- A Practical test demonstrating the candidates ability to perform typical inspection work. Grades: At least 70% must be scored in each part of the qualification examinations and an “average” score of at least 80% must be achieved. Providing that all of the previously stated criteria have been satisfied and documented. The candidate can be certified by the Certifying Authority (an employee of the company designated in writing in the Written Practice) to sign a document of certification. 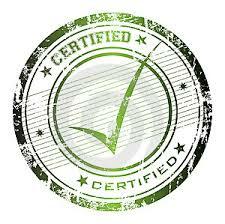 Under SNT-TC-1A only an employee of your firm can act as the Certifying Authority. An outside agency contracted to provide level III services can not certify your employee. They can state that all tests have been passed and that the criteria specified in your written practice have been met and that in their opinion the candidate is recommended for certification. The intent of Employer based certification by the American Society for Nondestructive Testing is to provide a guideline for employers to follow to assure that NDT Inspectors are qualified to do their job to the satisfaction of their employer and their customers. Some people want SNT-TC-1A to be a specification requiring all people performing any NDT inspection to be fully trained and tested in all aspects of the test method. This is not SNT-TC-1A’s purpose or intent. There are other documents such as CP-189 and NAS-410 that do have this intent, but not SNT-TC-1A which can be as broad or as limited as you need it to be.